Chinese smartphone vendor OnePlus has just launched its newest OnePlus 6T flagship, which has received an overwhelming response in countries such as India and China. The company as well as its fans are already looking forward to the 2019 OnePlus 7. A company executive may just have teased the next year’s flagship. Though the exec doesn’t specifically mention the name OnePlus 7, there is more than one reason to believe that the teased handset could just be it. OnePlus social head Ard Boudeling tweeted a picture (via Piuanikaweb) showing off the back of a OnePlus handset. Boudeling added the caption “Peekaboo.” The rear panel looks similar to that of OnePlus 6T with a vertically-aligned dual camera setup. But Piunikaweb noticed that the lighting effect on the back of the device creates the number ‘7’, which could be an indication that Boudeling was teasing the 2019 OnePlus 7. Also, why would a company executive tease a device already available in the market? Not much is known about the OnePlus 7’s front panel. The OnePlus 6T has a waterdrop notch, which could be reduced further in the next year’s model. Earlier this month, concept designer Benjamin Geskin shared a concept render of the upcoming flagship that shows a tiny circular cutout near the top of the screen for the front camera. The final design of 2019 OnePlus 7 could look entirely different. The phone is expected to debut in May or June next year. It will reportedly run the Qualcomm’s next-gen Snapdragon 8150 chipset with at least 6GB RAM. Considering the Chinese vendors have been putting more RAM into their devices, we wouldn’t be surprised to see a 10GB or 12GB RAM option for OnePlus 7. The device will likely retain the in-display fingerprint sensor introduced with the OnePlus 6T. For the last several weeks, there have been speculations that OnePlus 7 would be the Chinese vendor’s first phone to support 5G connectivity. OnePlus co-founder Carl Pei has told media that the company would launch its first 5G smartphone next year with Qualcomm’s Snapdragon X50 modem. 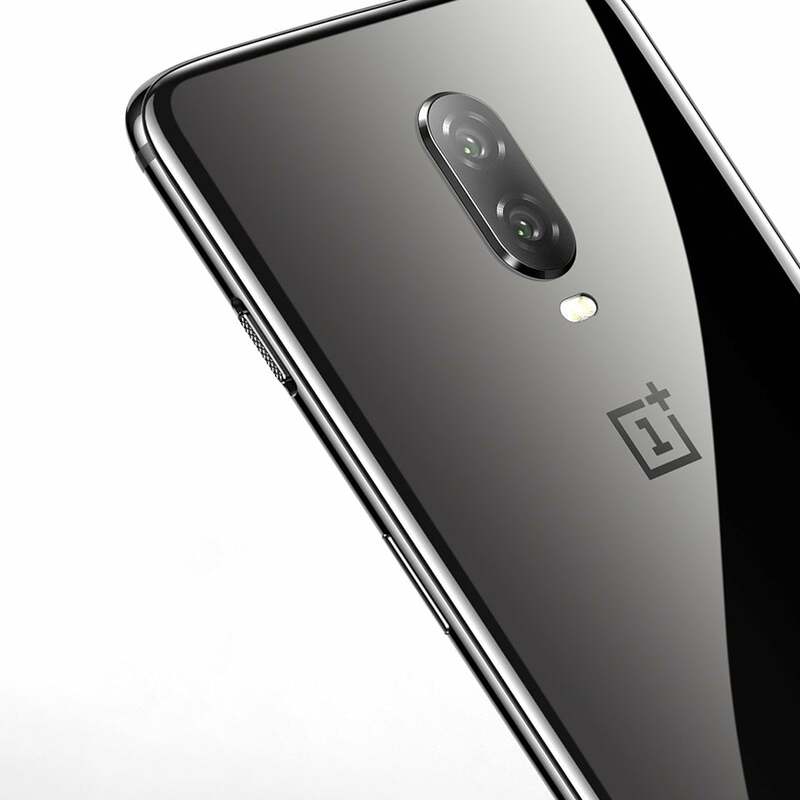 The media expected it to be the 2019 OnePlus 7. As it turns out, the OnePlus 7 will launch without 5G support. A company spokesperson told CNet that OnePlus would launch 5G lineup as a separate portfolio from the current line. It will complement the current and future devices in the existing series. The spokesperson did not specify when the 5G phone would come out, but OnePlus could use the upcoming Consumer Electronics Show (CES) or Mobile World Congress (MWC) to show off the device. OnePlus might have decided to introduce 5G with a separate lineup due to pricing reasons. The 5G connectivity would increase the prices of smartphones. But OnePlus devices are known for offering premium specs at mid-range prices. The 5G support could put OnePlus 7 prices above the mid-range, making it out of reach for most of its fans. So, it’s better to keep OnePlus 7 prices in the mid-range and launch a separate 5G phone at a higher price tag. Chipmakers have indicated that the early 5G phone could be larger and less energy-efficient than their 4G counterparts because OEMs will have to work around challenges with the initial modem, form factor, and antenna. Even if you buy a 5G phone, whether you’ll be able to enjoy the lightning fast download speeds would depend on your carrier. Wireless carriers in the US would start rolling out 5G services in the first half of 2019. OnePlus is not the only company working to launch a 5G phone next year. Samsung, Huawei, Asus, LG Electronics, and HMD Global have been preparing to introduce their own 5G handsets in 2019. It’s unclear what OnePlus’s 5G smartphone would be called.